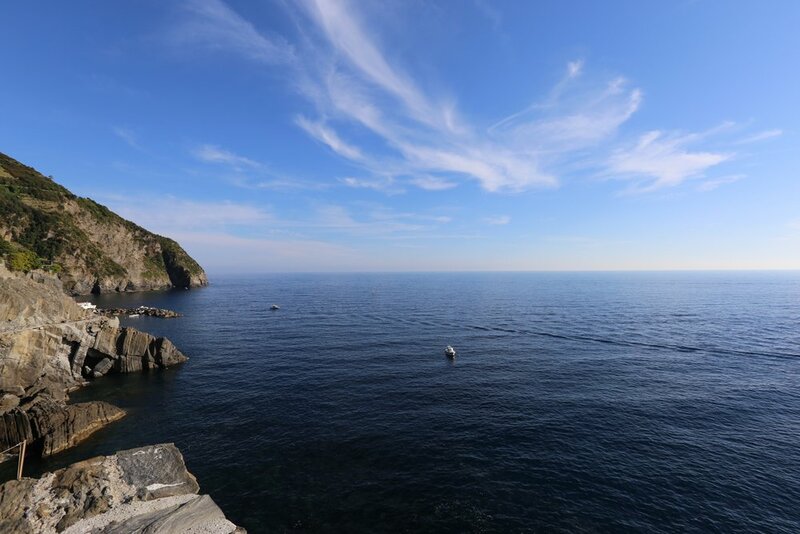 initially, i was so confused when researching things to do in the five quaint villages of cinque terre. no major museums, landmarks, overt historical significance, say whattttt! but once you come out of the tunnel on the train, it all makes sense. the lack of craziness and chaos is exactly the point. and exactly what makes these villages so magical. we did a funny, slightly pathetic thing on this trip - we stayed in our first airbnb! andrew is very hotel/credit card points savvy and usually we go that route, but hotels are hard to come by around these parts. needless to say, i'm so happy we did a new thing! our place was cute, private and a close walk to everything on the main street. the owners also threw in free breakfast for us at this little focacceria down the street. 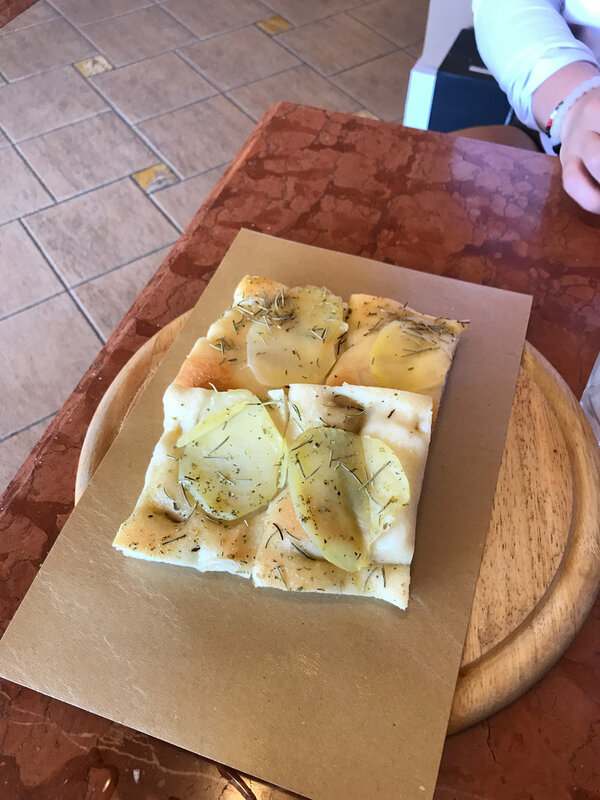 focaccia is everywhere in cinque terre and it is just. so. good. i don't even want to try to recreate because i know I'll just be sad. 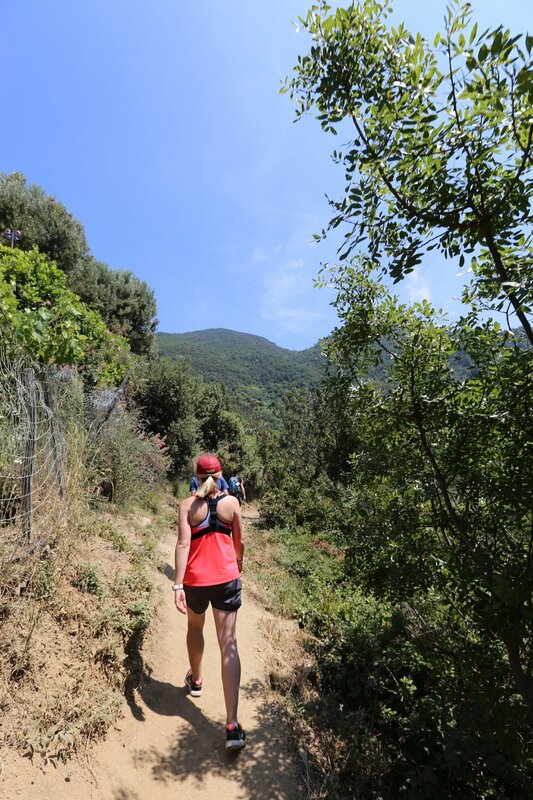 a big thing in cinque terre is to hike from village to village. the hike we did from monterroso to vernazza was not for the faint of heart, but we just followed the people in front of us and paused every few minutes for these insane views. we definitely earned our beers with lunch! sweaty selfies for the win! the coloring of the buildings in vernazza is just sublime! 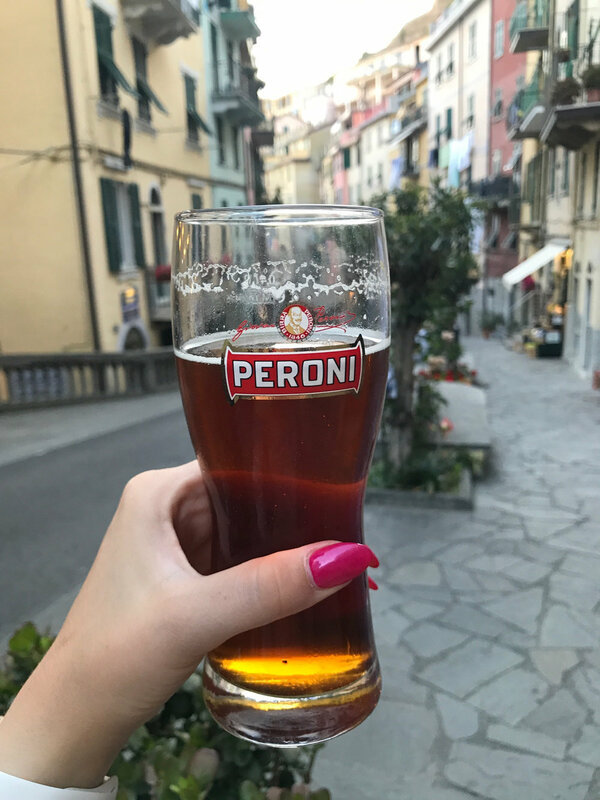 if hiking isn't your glass of italian wine, you can use the train system to take quick, cheap rides to each village. 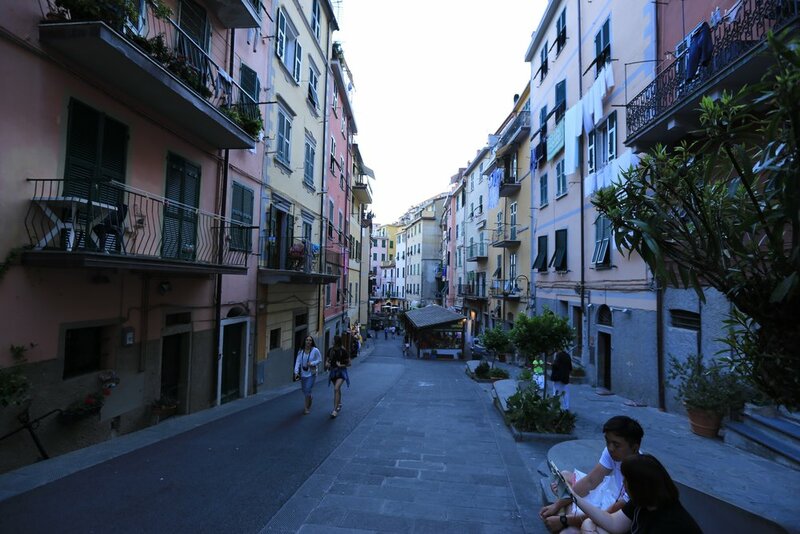 one night, we took it over to riomaggiore to have drinks and dinner. if you make it over there, DO NOT miss bar e vini a piè de mà. the picture below is the view so that's worth the trek to begin with. the drinks are super reasonable, you can get snacks and they were playing john mayer albums straight through when we were there so it was just heaven. one more beach shot! absolutely loved relaxing near the water after our first two stops. 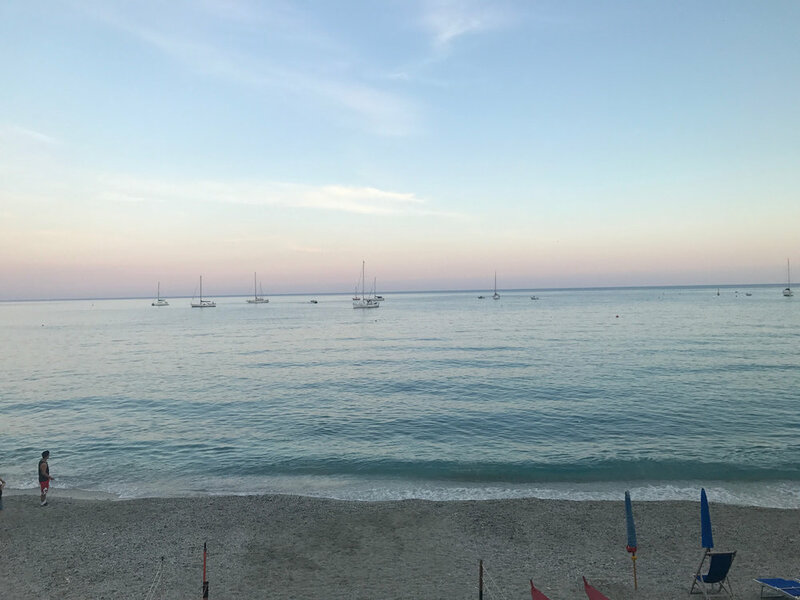 the sun sets on our incredible italy vacation. it was a great mix of busy, chill and everything in between. what a dream trip. i'm going to fantasize about pesto, focaccia and wine until we meet again. hopefully soon.